Numbered and limited to 1000! Composed of legendary Los Angeles session men, The Champs are responsible for one of the best instrumentals ever recorded, the ultra-infectious “Tequila." Their Tex Mex longplayer is full of driving guitar and propulsive rhythms, accompanied by the punctuating persistent sax sounds of Chuck Rio (who penned the boozy bruiser that became their biggest hit). 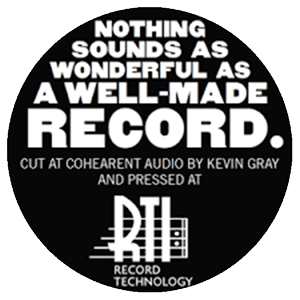 Cut all analog directly from tape by Kevin Gray, presented in glorious mono, and pressed at RTI on gold vinyl!